Is Safervpn actually safe? Read this review to find out. After spending quite a bit of time as an average VPN service provider, SaferVPN has managed to make some significant improvements to its VPN service. 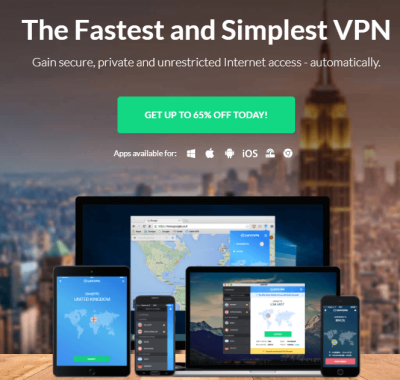 Now, we can confidently say that it is as close as any other VPN service provider to knock off the likes of IPVanish and NordVPN off the top of the VPN charts. So how does SaferVPN go about that objective? in order to attract potential customers away from the big names in the VPN industry. Moreover, it also comes with very useful bells and whistles features. The only real downsides to using SaferVPN is its lack of speed. It is not slow by any means. But there are many VPN service providers that are faster than SaferVPN on the whole. Moreover, while the company has a friendly customer support staff, it is actually sub-par. These are the only things that are stopping SaferVPN from becoming an elite VPN service provider in the very near future. As mentioned at the top as well, SaferVPN is a growing VPN start-up. 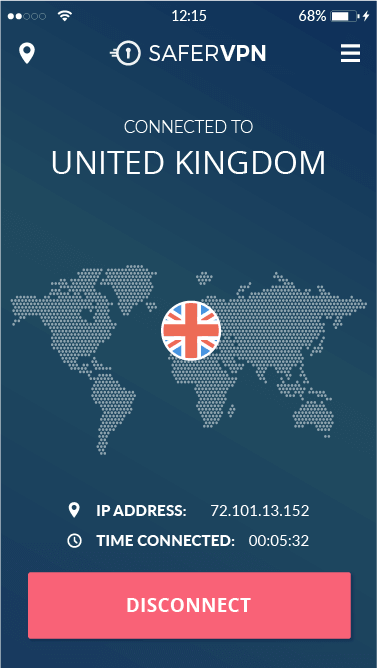 It has tried to make a name for itself by providing quality and legitimate VPN service to hundreds of customers all over the globe. Of course, by the look of things, SaferVPN doesn’t just want the “good VPN service provider” label. And that is why it has upped its VPN service game by a lot. Recent additions to its already fine VPN service means that SaferVPN is now a bonafide recommended VPN service provider. It is actually now a full Virtual Private Network service. Of course, that does not mean the service is perfect. No VPN service provider is perfect. IN other words, there are always some areas which VPN service providers tend to ignore. Either willfully or because of neglect. SaferVPN doesn’t have great connection speeds. The other area on which SaferVPN must work harder is the customer support one. It can improve by many levels in its current state. But as far as the questions about privacy and anonymity go, SaferVPN has got everything just about right. It handles privacy and security requirements of its customers really well. And there is hardly anything in that department that the company needs to improve. 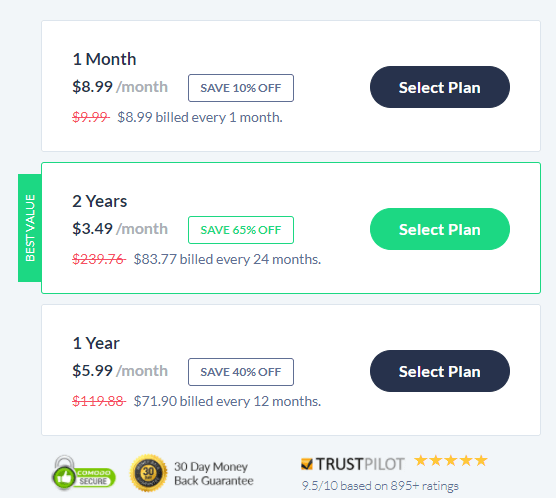 At the time of writing this SaferVPN review, the company offered two types of subscription plans. There is the standard plan. It costs users around $8.99 per month. If the user wants to subscribe to one-year or even two-year subscription plans then the company offers them heavy discounts. Of course, SaferVPN can change the price at any given time. We think it is more like a limited time offer more than anything else. Interestingly enough, SaferVPN hasn’t deviated much from the price it offered for its packages about a year ago when we originally reviewed its VPN service. Yes, there is a free trial. But it is rather short. In other words, the company allows users to test its VPN service for a period of 24 hours. But it is at least free. So take advantage of what you have. The best part about the free trial is that the company doesn’t require users to input their credit card details. SaferVPN offers a big 30-day money-back guarantee to all its users. If you are not satisfied with the service even after a month of usage then you can ask for a full refund. SaferVPN offers users several payment options. The company also offers some other obscure payment methods. But it offers them basically via courtesy of Paymentwall. SaferVPN supports VPN protocols such as IPSec (Internet Protocol Security), L2TP (Layer 2 Tunneling Protocol), PPTP (Point-to-Point Tunneling Protocol), IKEv2 (Internet Key Exchange version 2) and of course OpenVPN (the most reliable one). 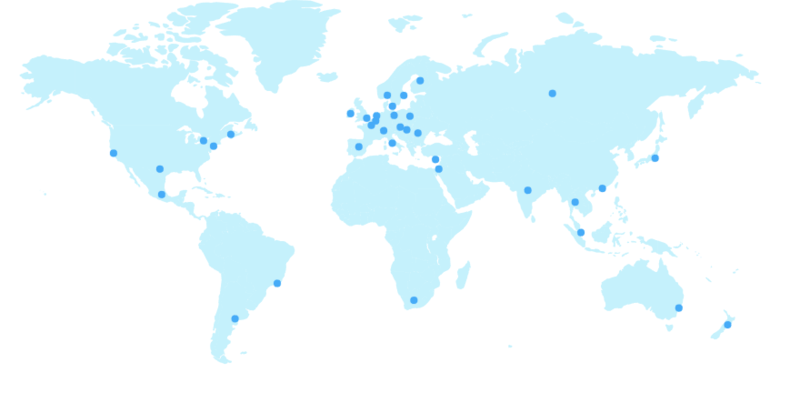 Most of the available servers are located in useful places around the world. What Is Automatic Location Selection Algorithm? SaferVPN advertises this feature a great deal on its official website. Or more fundamentally, what is it? The official website says that the company has a di diagnose fix feature which basically runs in the background. Moreover, this feature automatically chooses the best VPN protocol that it should use based on the user’s system configuration. The official website also says that most of the times, the company makes use of IKEv2 over IPSec with AES 256-bit encryption. As a fallback, the company also makes use of OpenVPN protocol with AES-256 bit encryption. We don’t need to remind you that as long as you belong to the 99 percent of the online user base, you should always make use of OpenVPN connection with AES 256 bit encryption. We also recommend that you should not use other VPN protocols if you don’t have a legitimate reason for it. That doesn’t mean IKEv2 isn’t any good. It’s just that OpenVPN is the best VPN protocol of them all. The only case with IKEv2 is better than OpenVPN connection is when you want to regularly switch between mobile and WiFI connection. If you want to switch between several different WiFi connections then too IKEv2 is better than OpenVPN connection. But again, as a default option, there isn’t any VPN protocol that is better than OpenVPN connection. And that is why you should stick with it no matter what comes. It would benefit you a lot if you search for VPN encryption on Google and research the subject. That will provide you with a good grounding on why SaferVPN has such as strong encryption implementation. As far as the automatic location selection algorithm feature is concerned, SaferVPN has made sure that users have the option of using the feature or not. In other words, this new exclusive feature is purely optional. So if you are one of those VPN users who don’t like such features, you don’t have to use it. What About WiFi Protection Feature? This is one of the bonus features that come with SaferVPN. We can’t remember a VPN service provider that offers such as feature. So let’s talk about it a bit more. SaferVPN’s WiFi security feature will basically alert the user whenever the user tries to connect to WiFi network that is not secure. If this feature detects that the user has connected to one then it automatically activates the VPN service. SaferVPN, as a VPN service provider, is based in the region of Israel. If we are talking about first impressions then there is little doubt that Israel is not the best country for a VPN service provider especially when it comes to privacy related issues. But our research for this SaferVPN review shows that isn’t the case. A VPN service provider can work efficiently enough even when based in a country such as Israel. Now we know that Israel is one of the few countries which has very strict privacy laws. You can check some of them out by clicking here. Moreover, we now also know that these same privacy laws also apply to governments and governmental departments. But it is more time efficient to just read the whole of this review. We will talk about all the relevant laws here. With that said, we are still a bit uncomfortable with the fact that Israel has a very close cooperation program with the United States of America and the NSA. What is the cooperation about? Of course, if you ask SaferVPN representatives they would tell you that t is not a big threat at all. They would also tell you that they make sure that they protect the privacy of all of their VPN customers. SaferVPN representatives will also point out that the VPN service provider has partnered with other entities to advance the right to privacy issues on various platforms as well. By that, we mean that SaferVPN has previously joined hands with an NGO by the name of Advancing Human Rights in order to provide dissidents in closed societies with VPN services for free. If you want to know more about that then you should go to IndieHackers and read about it. If you go to the official website of SaferVPN you will also see that the company says it has a no logs policy. The company also tells potential users and visitors that the company values and respects all of it user’s privacy. And it does that both inside and outside of the online world. In other words, the company does not keep logs or monitor the activities of its users via its VPN network. As far as major logs are concerned, it is true that SaferVPN doesn’t keep those. But it does keep logs which are actually called connection logs. SaferVPN says on its site that the company collects minimal usage statistics in order to maintain the company’s quality of service. Moreover, it also reveals that its VPN servers log some specific pieces of information from the user each time the user activates and actually uses the VPN service or session. 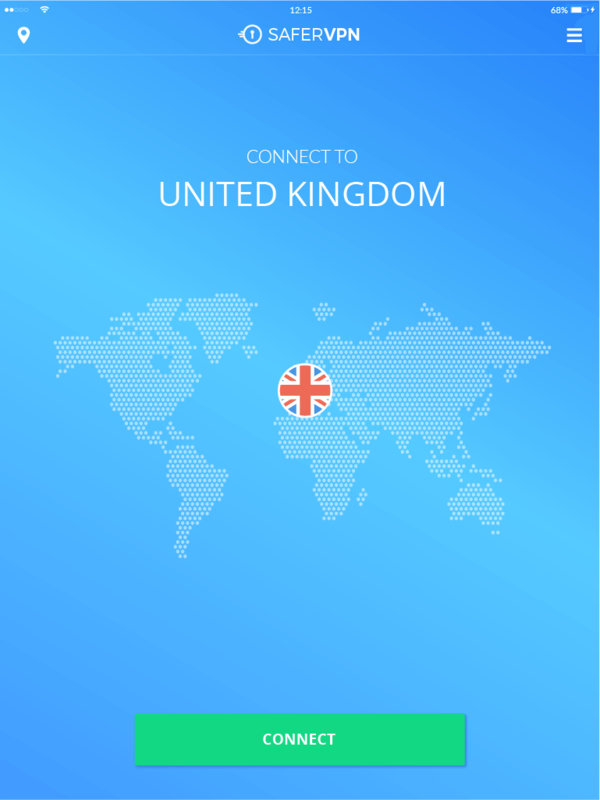 The original country of the user from where the user connected to the company’s VPN servers. SaferVPN does not keep a record of IP addresses though. Some older reviews of SaferVPN say that the company keeps the IP address of its users for record purposes. Our research for this SaferVPN review tells us that the company no longer does that. In other words, it does not store user IP addresses. Well, it means that SaferVPN can’t connect any of the logs it keeps with any specific user. And that is obviously great. Good VPN service providers always keep logs to an absolute minimum if at all. Hence, SaferVPN log policy doesn’t threaten the privacy of its users. Of course, there are those VPN service providers as well that don’t even keep connection logs. Those are very few though. It uses AES 256-bit for its data channel cipher. SaferVPN couples that up with RSA 2048-bit for the Transport Layer Security or TLS handshake. And then it backs that up with SHA 256-bit for the company’s control channel hash authentication. Our research for this SaferVPN review tells us that SaferVPN uses the SHA-1 for its data channel handshake. Does SaferVPN make use of perfect forward secrecy? Our research for this SaferVPN review tells us that is indeed the case. SaferVPN uses PFS or perfect forward secrecy for all of its IKEv2 and OpenVPN connections. As mentioned at the top, SaferVPN has a very strong encryption setup. Moreover, the Mac OS X and Windows version of SaferVPN apps also come with Domain Name System leak protection. In other words, DNS leak protection. They also have a kill switch which can further boost a user’s privacy even when they aren’t connected to the internet. You’ll also appreciate the fact that SaferVPN has apps for the Android and iOS platform that come with built-in kill switch feature. We don’t know of many VPN service providers that offer the kill switch feature for their mobile apps. Of course, you can always find a way to configure the OpenVPN connection for any Android smartphone to see a threat and react in a way to mimic a Kill Switch. The official website looks like a bunch of professionals spent a considerable amount of time building it. In other words, it is smart. It also offers a ton of setup guides which are truly well-presented. SaferVPN also has an official blog. Through this blog, the company regularly features interesting VPN related articles. What about technical details then? Well, sadly, SaferVPN is light on those. But if you want to know what type of encryption the company uses for its different VPN protocols then there are resources for that on the official website. We have already mentioned the fact that SaferVPN provides setup guides on its official website. But there is more help available. Primarily though, the company provides users with help in the form of a live chat feature which is enabled 24/7. There is also a ticket email system that can help users submit their queries to the company via a token. Our research for this SaferVPN review tells us that you should expect SaferVPN to have a quick response to your queries via the live chat support. Don’t expect an instant response though. Also, expect them to have a friendly attitude to all your nagging questions. By reviewing tons of VPN service providers over the years we have come to the conclusion that reviewers should go easy on the customer support department of a VPN service provider. Especially when it comes to the live chat support representatives. Reviewers should not expect them to have top-notch technical knowledge about VPN services and how they work. But that doesn’t mean that they should know absolutely nothing about the company that they represent. We have heard complaints about SaferVPN representatives using memorized phrases like “we have used the possible encryption technologies” a bit too much when users ask them questions. There are other important issues as well. When users send their queries through the ticket system they expect the company to take its time and respond with a comprehensive response. We found that SaferVPN representatives would do well to make sure they answer questions regarding the company’s CHrome extension along with perfect forward secrecy with a bit more details. As mentioned before as well, the installation process actually starts with the signup process. Any VPN service provider has to make sure that it puts the user on a fast track when it comes to clicking the BUY button to using the VPN service on his/her computer machine. We have already mentioned the fact that users can avail a 24-hour free trial. And that comes without the user needing to provide the company his/her payment details. The only thing you need to provide SaferVPN in avail its free trial is a valid email address. Moreover, if you want to pay via anonymous means that you can easily do so via Bitcoins which are properly mixed. But always keep in mind that no matter what you do, a VPN service provider would always know the user’s real IP address. It doesn’t matter which method you use to pay for your VPN service. Once you have signed up with SaferVPN, the company will send you a welcome email. This email usually comes with the user’s account information along with some download links. For the purposes of this SaferVPN review, we’ll exclusively talk about the SaferVPN Windows Client. THe Windows Client is clean and simple. It looks rather nice and performs everything you need it to perform without any problems. Though we would have liked the Windows client to make it more clear which protocol it uses when the user selects the automatic option. Our research for this SaferVPN review tells us that you will have to push SaferVPN representatives hard to find out the answer to that question. As mentioned before, the SaferVPN Windows client comes with an advanced feature in the form of a Kill Switch. Okay, we know what a Kill Switch is. Or how do you test it? You test a Kill Switch by first closing the SaferVPN app via the Windows Task Manager. If your computer is still connected to the internet then you should start to ask some question. Our research shows that SaferVPN app doesn’t disconnect you from the internet when you close the app. It tells you that the SaferVPN KilL Switch feature is a reactive one. In other words, it only shuts down the user’s internet connection when it manages to detect if the VPN app has indeed disconnected. So if your VPN client experiences a crash, the SaferVPN Kill Switch will not work. There are those firewall-based Kill Switch features as well. These basically block any online connection that doesn’t come via the VPN connection. And those are indeed better. But having a worse Kill Switch feature is better than having none. Our research for this SaferVPN review also tells us that the SaferVPN Windows client can connect to a given VPN server pretty quickly. And that is always a bonus. SaferVPN Windows client does provide users with DNS leak protection feature. Testing a VPN service provider is always tricky. In other words, there are tons of ways to do it. One way is simply to go to sites like speedtest.net and speedof.me and then measure the results. But you have to show some professionalism about it. Here is how we suggest users should measure their VPN service provider’s speed. Of course, the VPN protocol you use will also have an impact on how fast your VPN service provider would work. AS recommended before, always go with OpenVPN protocol. SaferVPN doesn’t give you the option of using OpenVPN over User Datagram Protocol or over Transmission Control Protocol. But our experience tells us that SaferVPN probably used the User Datagram Protocol because it is faster of the two. 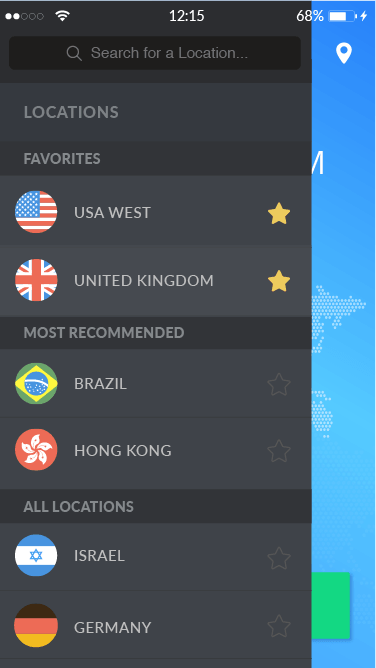 Moreover, you can also check the option for auto-selecting VPN servers from the official app’s menu. SaferVPN is by no means fast. What we mean to say is that SaferVPN did not impress us with its speed. We found that the VPN app setup allowed third-party servers to perform DNS resolution correctly most of the time. SaferVPN VPN app uses the Google DNS service for such tasks. But it also makes use of proxies to ensure that Google doesn’t who which user made which request. Our research for this SaferVPN review shows that sometimes the Windows client did not protect the user against IP leaks. SaferVPN representatives now say that they have fixed the issue in their latest software. Readers should also take note that as far as SaferVPN is concerned, Private USE RFC IP addresses are in reality local IP addresses only. In other words, no one can use them to identify a given individual. Hence, we should not consider these as IP leaks. Does SaferVPN Work With BBC iPlayer? The only thing the user has to make sure is to connect to a UK-based VPN server. After that everything should go according to plan. Does SaferVPN Work With US Netflix? You can check it for yourself by first connecting to a US based VPN server and then going to the official US Netflix website. SaferVPN does have these US streaming VPN servers, but they don’t work with US Netflix either. As mentioned before that SaferVPN uses the OpenVPN VPN protocol for its mobile apps by default. It implements the OpenVPN protocol with the same encryption settings that it uses for its desktop applications. then you can make use of the well-illustrated manual setup guides on the official website. Of course, if you want to use the SaferVPN Android app you will have to purchase an Android smartphone. Moreover, you will have to download the official Android app from Google Play Store. The good thing about SaferVPN Android app is that it doesn’t require users to give it a lot of permissions like some other less trustable Android apps. Needless to say, the Android app looks top notch. It provides users with IP leak protection as well. One of the bonus features SaferVPN has for its users is the Chrome extension feature. This extension works with web browsers such as Google Chrome. And we know that if something works with Google Chrome it also works with Opera. The chrome extension basically works by changing the location of the user just as the VPN client or apps do. But the company does mention in its official documents that they do not explicitly make use of encryption within the company’s Chrome browser extension. According to SaferVPN, Chrome web browser itself uses SSL internally as a form of security layer on top of its http protocol in order to secure a user session data. This way, bad people can’t steal any of the user data. What SaferVPN really wants to say is that Chrome uses HTTPS and that is enough for most users. Of course we’re not sure what SaferVPN really means regarding Chrome’s inner workings. Hence, we will recommend that users who are serious about their privacy should go with the full VPN client which definitely provides an encrypted connection. SaferVPN would have gained more points if the company had bothered to come up with a browser extension for open source web browsers such as Firefox as well. To answer that, let’s take a look at the Pros and Cons of SaferVPN. 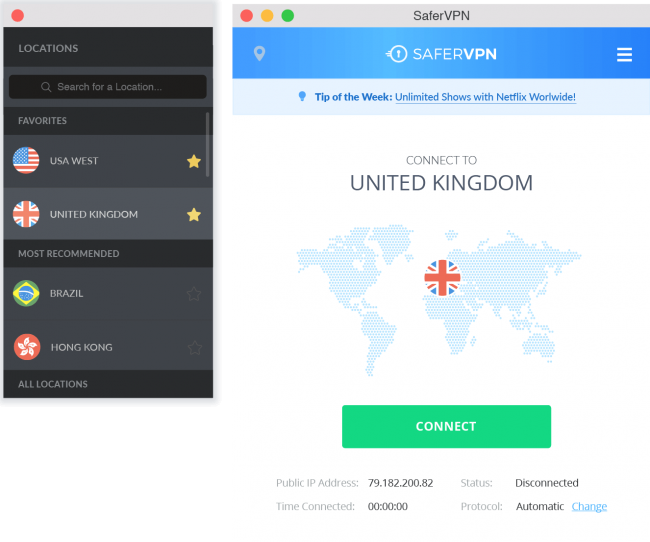 SaferVPN didn’t make it as a good VPN service provider in our first review. But now it has changed some things and has made significant improvements over its older VPN service. 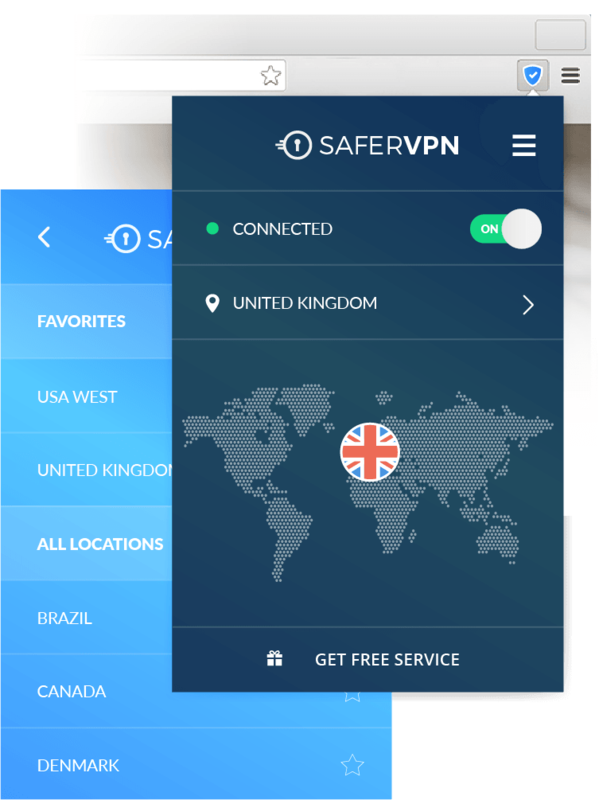 SaferVPN uses strong encryption technologies and offers a huge number of VPN servers that are located in good locations. Each user can connect up to five simultaneous devices with just one account. Moreover, the company has as close to a zero-log policy as you are likely to find in the VPN market. SaferVPN also offers some extra bonus features such as a Chrome browser extension and IKEv2 support. The only problems with SaferVPN are its average speed performance and sub-par customer support staff. SaferVPN comes with a 24-hour free trial offer and a mammoth 30-day money-back guarantee. These two options alone should be enough for anyone to give SaferVPN a try. After recent improvements, SaferVPN is indeed a good VPN service provider. But negative points such as average speeds and connection logs keep it away from becoming a great VPN service provider. However, if you are looking for a VPN service provider that protects your privacy and gives you extra location options, then SaferVPN deserves a chance. Recently, we have significantly improved our service by introducing new apps for Windows & Mac, removing connection logs, and introducing our SaferVPN for Business solution. We kindly ask you to please update our review on your site to reflect these latest improvements. Moving forward We’d like to work with you more closely to improve your profitability. Please don’t refrain from contacting us with any questions, comments, suggestions, etc.